Since 1946, Pye-Barker has protected people and businesses across the United States. 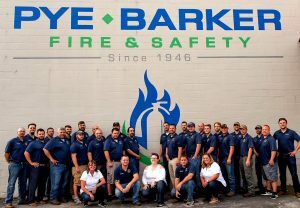 Pye-Barker Fire & Safety has proudly served and protected the Southeast region for over 70 years and is rapidly expanding to protect new regions across the USA. At Pye-Barker, we take the responsibility as your service provider very seriously. Our knowledgeable staff is certified by various industry manufacturers and agencies to assure that you are visited by a professional who is focused on keeping you and your workplace safe. The equipment we inspect is specifically designed to protect property and life, so shortcuts are never an option. We inspect, sell and service fire extinguishers, kitchen fire systems, paint booth fire systems, emergency lights, exit signs, fire sprinkler systems, fire alarm systems and more. We also provide on-site live fire training consisting of both classroom discussion and hands on fire training. Though we are proud to be a competitive presence in the fire protection industry, we are also very grateful to have started as a family company. 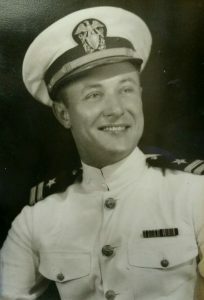 The father of our current owner, Thomas “Tom” Lumsden served in the United States Navy during World War II and started working for Pye-Barker in 1947. He remained a loyal employee until his death in 1995. His son, Roger Lumsden, is now part-owner of the business, and his son, Brian Lumsden, manages Pye-Barker’s largest office in Nashville, Tennessee. The passion for protecting property and life is one the family continues to share, and one we have been blessed to share with the other family companies we acquire. In the last few years, Pye-Barker has experienced rapid growth expanding to over 38 offices in 8 states across the country. We are strategically positioned to handle all of your life safety and fire protection needs. Pye-Barker’s growth has been achieved both organically and through acquisition. If you own a fire protection business and would like to discuss your options, or if you are an industry professional seeking a new home, please give us a call to schedule a confidential meeting. Fill out the form below or call 800-927-8610 to request more information.